Eating waffles for breakfast is a fond childhood memory of mine. Pancakes are easier to make. Getting the waffle iron out was a bit more work and reserved for special occasions. This gluten free version takes me back to being a kid in my home in California. I expect my waffles to be: crispy on the outside, soft in the middle and thick. I feel that this recipe has all three attributes. In fact my daughter came home from school and had a couple and loved them. I asked her if she would eat them again and she said YES, I said "GOOD, they were gluten free". There are a few things to remember though. 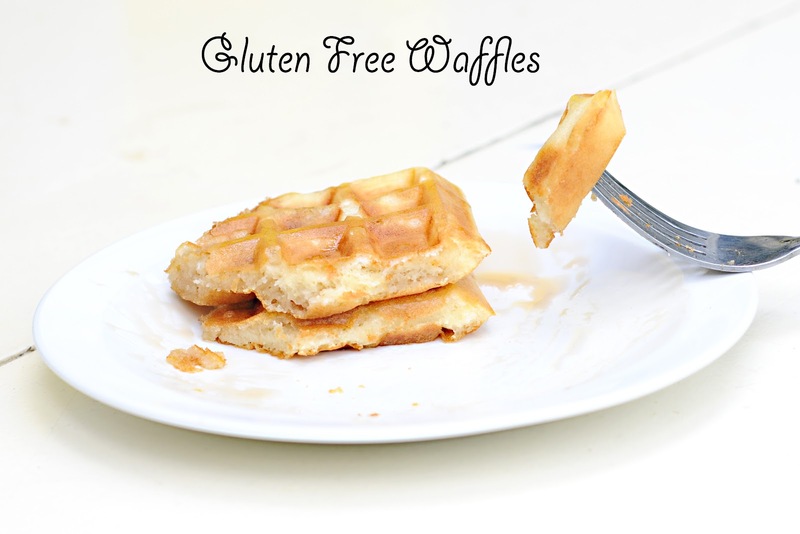 You can't eat them right out of the waffle iron. For some reason the mix (and this is normal with a lot of gluten free items) needs to sit and cool slightly. If you don't do this, then it is gummy and not good. In fact, for me, I prefer to make them and have them cool completely then microwave them for a few minutes. That is just me though. Working with gluten free flours and starches takes a bit to understand which flours work well and how much to use. 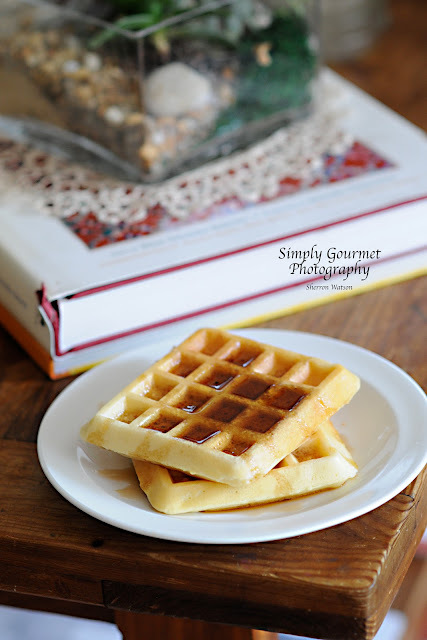 I did make a batch of waffles with some buckwheat and oat flour that I loved. The kids thought the flavor was too strong. I LOVE buckwheat. When substituting these flours think in terms of percentages. I try to only replace about 25% of the rice flour with the grain flours (teff, quinoa, oat, etc). Baking breads, muffins and other goods requires the use of xanthum gum at times. When you decide to venture into this area of baking I would recommend buying a cook book or searching out recipes on the web. There are lots of gluten free sites that have wonderful recipes. 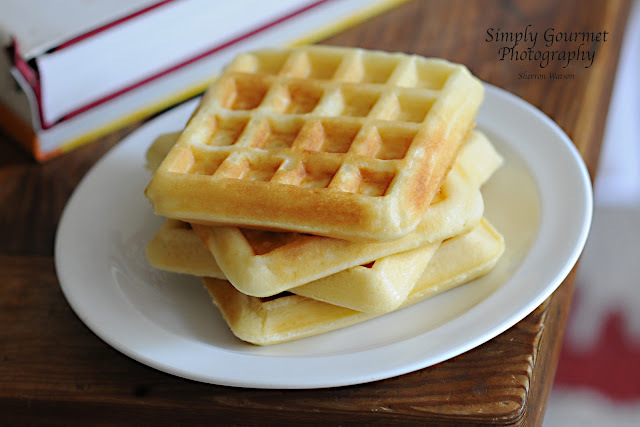 Bake to the waffles…..they are good and I hope that you enjoy them too! I purposely left off the syrup so that you could see how fluffy the waffles were. 1. In small bowl combine dry ingredients and whisk to blend flour/starch. In a second bowl combine remaining ingredients and beat well. 2. Combine the wet into the dry and stir until smooth. 3. Heat your waffle iron, spray with your favorite cooking spray and add mix. 4. Cook each waffle until golden brown, about 3-5 minutes. 5. Let cool on a cookie rack until ready to eat. Store in baggies and refrigerate. Microwave for a few seconds and serve with syrup. I have been told they also work well warmed up in the toaster. Found your recipe on Pinterest and I'm so glad I did. These are the best GF waffles I've had! Thank you so much! Thanks for the recipe. My son loves them! I did add a little vanilla though. I make a batch on Sundays, then we have waffles all week. They are wonderful in the toaster.